For many self-published writers, it is a challenge to switch from an inward focus on writing to an outward focus necessary for book marketing. The reasons vary. Some writers are shy introverts, while others simply feel overwhelmed by the task and don’t know where to start or what advice they should follow. Generally a writer should begin their book marketing strategies with their strongest areas first. For example, if you are good at public speaking, find opportunities to speak to local group. Or if you have a large social media network, find a way to make wise use of it (without spamming). Or perhaps you are excellent at making promotional aids such as posters, flyers, bookmarks etc. Brainstorm your promotional assets, make a planning timeline and start activities well before your book is released. Next assess and identify your weak spots. Fix the easy problems first. For example, replace a bad author photo. Then make a planning timeline to tackle your most difficult obstacles (such as getting over the fear of public speaking, or the need for a new website). Learn from other writers’ book marketing experiences. Read up online or go to writing workshops and events and talk to other writers in person. Find a method to organize and track marketing tasks, ideas, and deadlines. Some people prefer paper journals or wall charts, while others prefer online tools. Workflowy is just one of many free useful online tools (see a review of it and other similar organizing aids here). It is natural that many writers are allergic to book promotion because it feels like vulgar self-promotion. Many an author coach (see video below) has found deeper issues at play when it comes time for a writer to put on their marketing hat. And sometimes the massive effort to write and complete a book leaves authors depleted. They have little energy for the next stage of introducing their book to the world. However, there are many writers who are able to market their books with gusto and grace. 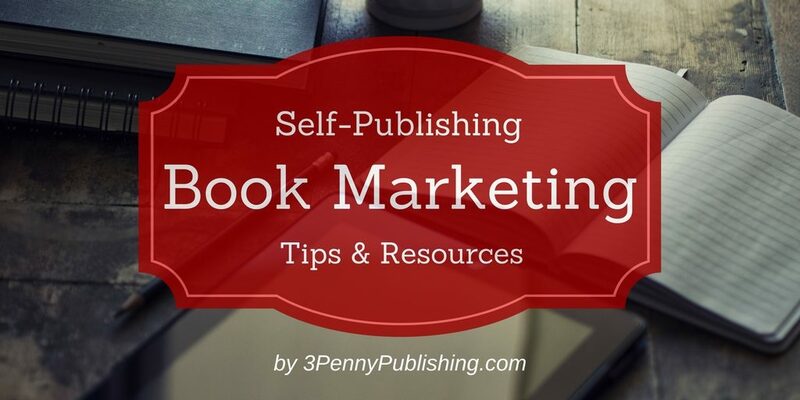 Below are many resources and strategies for marketing your self-published book. First: Try, try, try, to have a photo that looks professional. If you can’t afford professional photos, then ask trusted and supportive friends and family members to help you choose your most suitable author photo. Second: Do not have distracting items or backgrounds in your photo. Your clothing should be solid colours, a neutral style, and nothing trendy that will quickly look dated. Avoid awkward poses or extreme expressions. Third: Do not fall into the ‘writing prop’ trap. Avoid cliché writing props in your photo (e.g. laptops, bookshelves, and typewriters) no matter how tempting it is. Fourth: Ensure the style of your photo matches the style of your genre. For example, if you write hard-boiled crime fiction, it will look odd if your author photo is all pastels and pink and looking like you write romance novels. Finally, do research. Check examples of good and bad author photos. If you need guidance, professionals who specialize in branding in general can also be very helpful for author branding. Your overall look as an author (photos, website, social media) will play a key role when it comes to both marketing and being regarded as a professional. BC BookLook ––the website for BC BookWorld News–– invites BC writers to submit information about their new book. Experienced author coach Matthew Ashdown describes in this video how sometimes authors can get in their own way when it’s time to market their book. Did you find any of the resources listed especially helpful? Or do you have an idea for a resource that should be listed? Feel free to send an email. Note: Links and information are for research purposes and do not replace professional advice. Accuracy of third-party websites cannot be verified and links do not indicate endorsement.